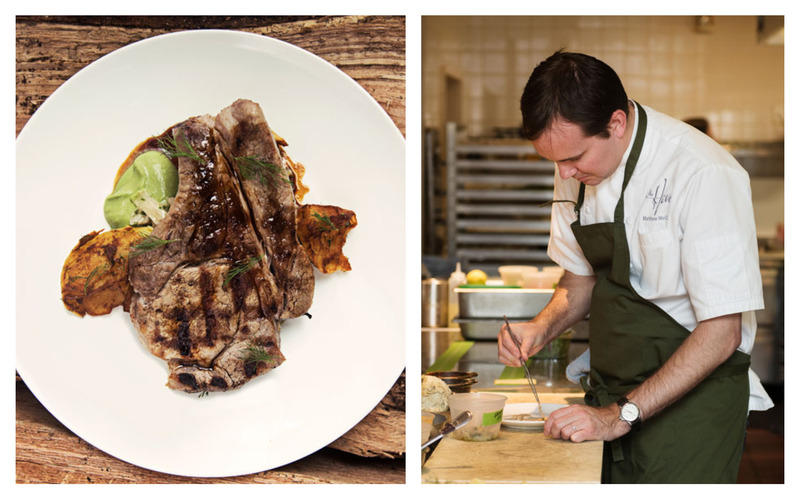 Chef Matthew McClure is a fan of reinventing traditions. A four-time James Beard Award semifinalist and executive chef at The Hive at 21c Museum Hotel in Bentonville, he is always studying food, searching for ways to alter flavor profiles to put a new twist on a timeless classic. McClure was raised in Little Rock by white-collar parents who never forgot their country roots. While they were busy people, they tried hard to cook in the traditions of their parents when they could. “The story of the South is complicated, but I think we can all agree that the food is awesome. That’s where people can meet and talk and grow,” says McClure. “It makes for an easy conversation — a bit of nostalgia. To hear my mom and dad talking about growing up in rural Arkansas and the meals they had — squash and corn and everything else — it’s sort of magical,” he says. This legacy stayed with him. After enrolling as an engineering student at the University of Arkansas in Fayetteville, McClure realized that path wasn’t for him. An offhand comment by a professor about how he almost attended culinary school gave McClure the spark he needed. Soon, he applied and was accepted at the New England Culinary Institute in Vermont where he received his associate’s degree. He went on to intern in Boston at Troquet, Harvest and No. 9 Park restaurants. McClure is the executive chef at The Hive at 21c Museum Hotel in Bentonville. The restaurant offers some funky décor and provides guests with divine entrées and beverages. Troque also taught him to appreciate how repetition in cooking can lead you to the right and wrong way to master flavor and technique. Guests can enjoy a lounge and seating area inside the restaurant. This is the perfect spot for large parties to mingle and indulge in fantastic food. A valuable teaching experience for McClure came from many late-night visits to Boston’s Chinatown. While he never worked in any Asian restaurants, McClure draws inspiration from their creativity with flavors and techniques and borrowed those that worked for his dishes. He credits cooks in the Northwest Arkansas’ Central and South American and Indian immigrant communities for making interesting food that inspires him to take risks. 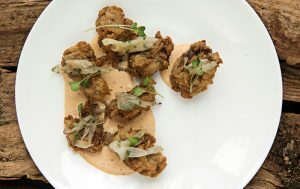 One example of how he incorporates international flavors is the BMF (buttermilk-fried) chicken at the Hive, which incorporates a Japanese spice blend. 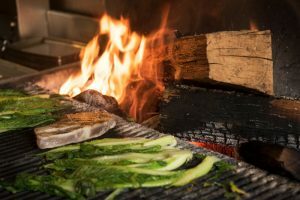 He also utilizes chili flakes, mustard seeds and onions to cook his collards to create something that’s different and fun, but rooted in tradition. 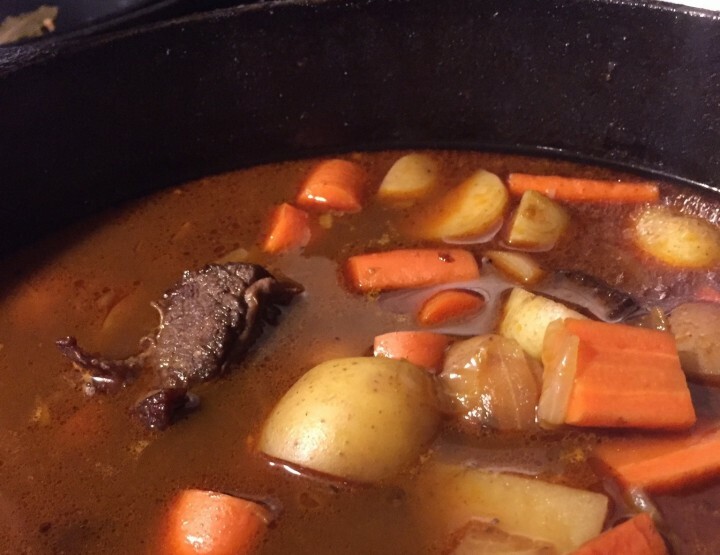 McClure feels that ethnic communities are adding to southern traditions through their cooking. “These dishes aren’t going anywhere, but eventually, these will blend into the foods that are traditional in the South. And that sounds like a fun dinner to go to,” he says. McClure found his way back from Boston in 2007 when he worked under Lee Richardson at Ashley’s at the Capital Hotel. 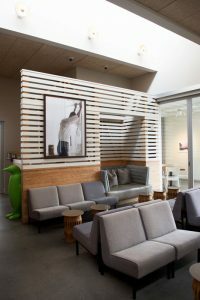 A few years later, he connected with 21c Museum Hotels after learning about their plans for a Bentonville location. 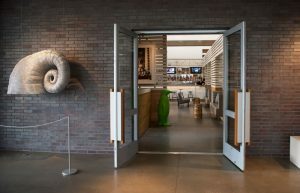 The company trusted McClure to create a menu that captured local flavor with national appeal. In the beginning, McClure woke up early to get the best ingredients from the farmer’s market, but eventually he created relationships that have endured so farmers come to him now. 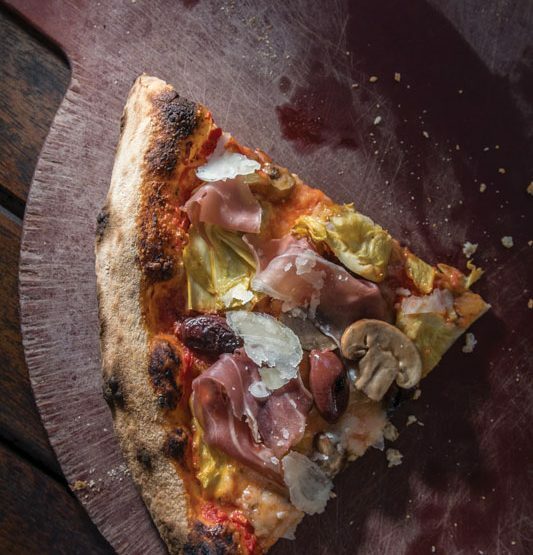 In the spring and summer, many ingredients come from Northwest Arkansas, but when winter rolls in, he incorporates more local grains, mushrooms and meats. McClure cites the pork chop and chicken liver pâté as two of his favorite items on the menu that are popular with patrons. McClure creates diverse dishes for breakfast, lunch, and dinner at The Hive. Regarding his success, McClure gives credit where credit is due — to his wife, Jenny Ahlen, who has been incredibly supportive, and to his staff at The Hive. “I think for me to come into a town like Bentonville, where most of the restaurant culture was chain restaurants, and be able to piece together a team of incredibly talented humans — most of whom were already here — that’s so rewarding. I can’t do what I do without a good team. We are open breakfast, lunch and dinner — seven days a week, plus banquets and catering. I need a great team to pull this off. I’ve been incredibly fortunate to hopefully foster young talent and the next generation of chefs for Northwest Arkansas,” he says. Another way he is helping to foster feature future culinary artists is through his work with the Bentonville Chef Alliance, which holds a French James Beard Dinner. This Sunday Supper is one of three in America and they use the funds raised to provide scholarships for local talent. Giving back is one of McClure’s pastimes. He works with the Southern Foodways Alliance out of Ole Miss when he can. Also, he hosts a dinner for the No Kid Hungry organization, which works toward ending childhood hunger in Arkansas. The organization is equally thrilled to have a talented chef advocating for their cause. McClure enjoys establishing creative dishes. His execution and presentation of food is always successful and professional.